Calling all designers and art warriors! 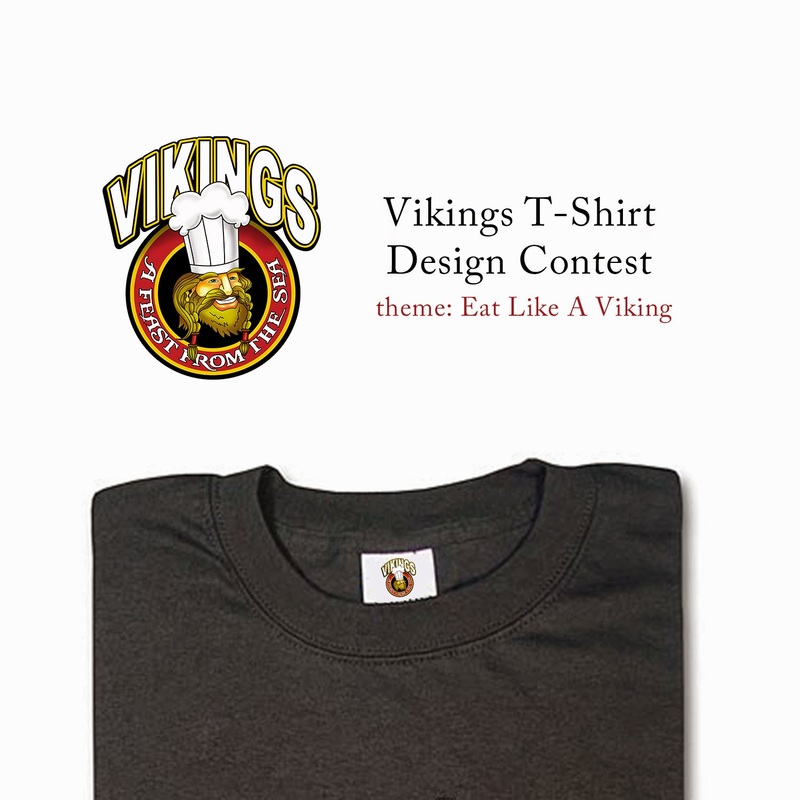 Our favorite luxury buffet restaurant Vikings needs your creative side for the Vikings T-Shirt Design Contest! Click Read More for the contest rules..
1. This contest is open to all artist, professional, amateur and student, aged 18 to 25 years old. 2. Submitted design should follow the theme: Eat Like A Viking. 4. Contestant must complete official entry form and submit the entry design “A4 size” done in adobe illustrator or PSD format with editable layers and one (1) JPEG format, both in high resolution not to exceed 10MB . 5. Only one (1) entry per person is allowed. 6. Contestant should sign the terms and conditions and email the scanned copy at info.vikingsteedesign@gmail.com. 7. Winning entry will receive Php10,000 cash. Contest Duration: March 1 - March 16, 2015. - By entering, contestant understands and agrees that the winning design will become a exclusive property of Vikings Luxury Buffet which retains exclusive rights to the reproduction of the design. - Contestant must acknowledged that the submitted design is (a) original, (b) does not include any material that would require the consent of third party and (c) does not violate any copyright, publicity right, privacy right. Vikings Luxury Buffet has the right to edit and alter the entry design. - Submission including offensive and obscene images will be disqualified from competition. - All entry designs will be subject for screening, to those that comply with the given rules and guidelines (posted in our website and social media sites) will be entered to the competition. - Top 5 designs will be posted in our Facebook pages for voting to earn the 30% (Likes) of the criteria. - Winner will be notified by email and announced on our Facebook pages on March 17 Monday at 6PM. I would want the winner to be one of my readers! Please join! PS. My commenter of the month winner for February enjoyed a fun dinner at Vikings SM Jazz with his parents! Awesome! Thank you Vikings for sponsoring this giveaway! More surprises and giveaway from this blog! Keep following!